Just a quick note to catch up with events of the past. We attended Gen Con’s First Exposure Playtest Hall this past summer, and were able to run over 20 games throughout the weekend. (Yes, we were hoarse when we finished; it’s not the quietest venue around.) But we got in lots of play, and lots of good feedback, which is the purpose of the playtest hall. Ryan and I went up with Jesse, and Lucas joined us there for a couple of days as well. We got lots of notes from everyone. 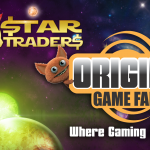 The most unexpected result was all the feedback we got about making Star Traders accessible to colorblind players. 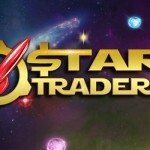 Star Traders has lots of color-coding (to indicate players, of course, but also types of jumplines and to distinguish contracts). We took all the suggestions we got, and then spent awhile once we got back home on making the game accessible. We think we’ve done that — all the jumplines now have a small marker to indicate their value, and all the player tokens except the ships are marked with a distinct icon for each player. 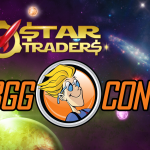 (We’re supplying a couple of extra ships that can replace ships that blend together for some players.) And contract markers have always had text to distinguish them, along with their color. 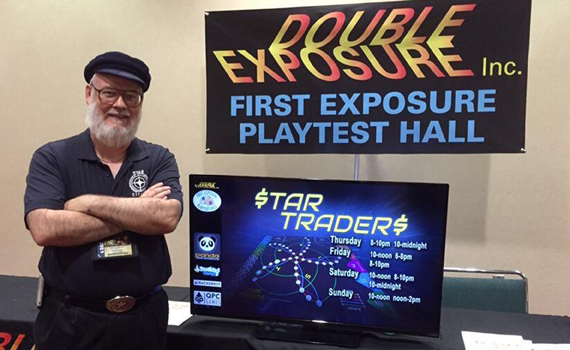 We won’t know until we try it out with more players (at PAX South and beyond), but we’re cautiously confident that we’ve made Star Traders a lot more accessible.